AMMONNEWS - US President Donald Trump said Monday he was willing to meet with Iran’s leaders with “no preconditions” and “any time they want” -- one week after tensions soared between Washington and Tehran. “I would meet with Iran if they wanted to meet. I don’t know if they are ready yet,” Trump told a White House press conference with Italian Prime Minister Giuseppe Conte at his side. 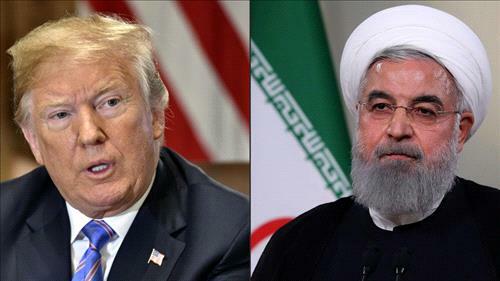 “NEVER, EVER THREATEN THE UNITED STATES AGAIN OR YOU WILL SUFFER CONSEQUENCES THE LIKES OF WHICH FEW THROUGHOUT HISTORY HAVE EVER SUFFERED BEFORE,” Trump warned Rowhani.